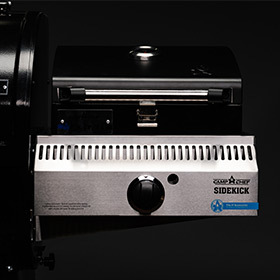 Customize your pellet grill to fit your cooking needs— the Sidekick is the epitome of modular cooking. So what accessories can fit on the Camp Chef Sidekick? Most 14-inch compatible Camp Chef accessories will fit on your Sidekick. Add a griddle, grill box, pot & pans, a pizza oven, and more. 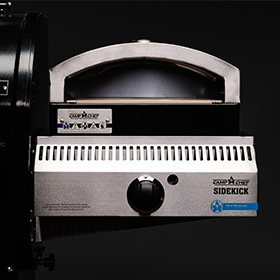 The Sidekick puts out 30,000 BTU (over double the Sear Box) and has no problem searing. Thanks to the Sidekick we were able to cook 50 famous recipes from 50 fabulous states all on one unit. 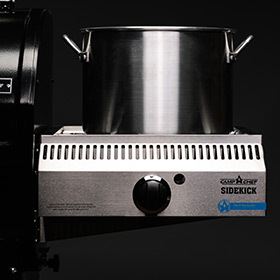 Check it out here and explore a whole new world of cooking with the Sidekick. Installation is a breeze. Simply remove your side shelf and mount the Sidekick to the existing holes. Connect your propane tank and get cooking. What will you make with your Sidekick? Let us know in the comment section below! 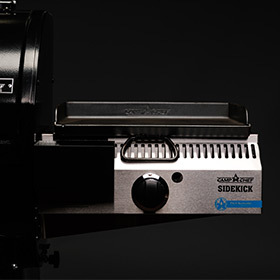 Will the Sidekick work on my Cabela’s CB36ETC1 smoker? Unless your Cabela’s bought pellet grill is a Magnum (PG24MG or a PG36MG) then the Sidekick will not fit. 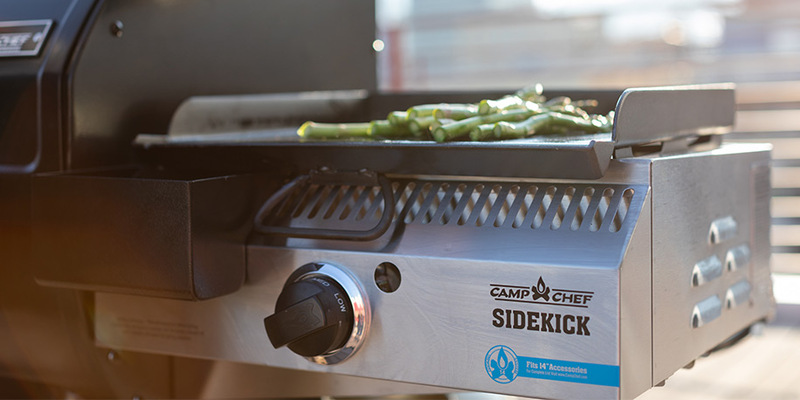 The Sidekick can only fit on Camp Chef pellet grills. While Cabela’s is one of our preferred dealers – we are not familiar with the SKU. Is it possible to use this as a stand alone table top stove? Unfortunately, you can not use the Sidekick as a stand alone table top stove. 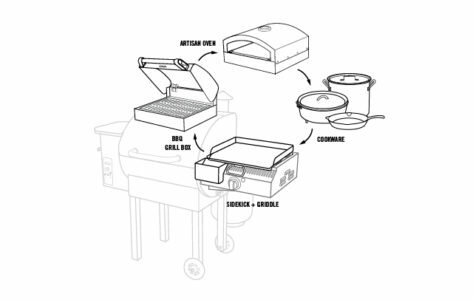 Have you checked out our new https://www.campchef.com/flat-top-grills-new/versatop-grill.html? I think that might be more up your alley! You guys are killing me. I neeed this.